Are You Dreaming of a Lawn-free Landscape? As you know, water is a scarce commodity. And we need to conserve our use of it. You can still make your property verdant and productive even if you decide to take out your entire lawn. In California and elsewhere throughout the southwestern part of the U.S., people have been taking out their lawns and replacing them with versatile landscapes. These lawn-free landscapes provide beauty and sustainability for many years. 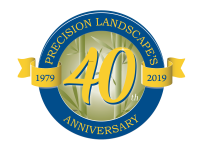 And now, we at Precision Landscape Services, Inc. want to build your dream landscape that saves you money on your utility bills as well as brightens the outside of your home. 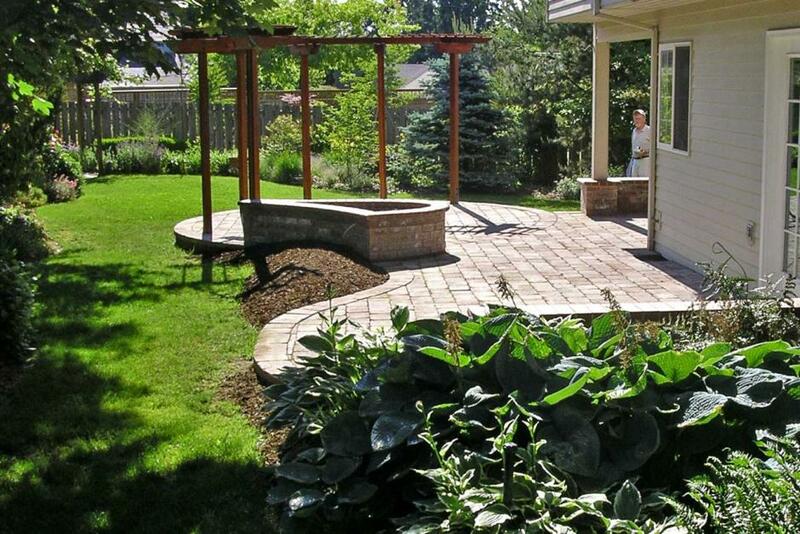 Add stonework and other hardscape features to your property. When you first think of stonework, do you think durability, long-lasting, bold, strong, natural? You can make your new lawn-free landscape look that way by adding stone walls, boulders, and rocks within your overall design or as a stand-alone focal point. Construct arbors and pergolas. We can design and build arbors and pergolas to your property. 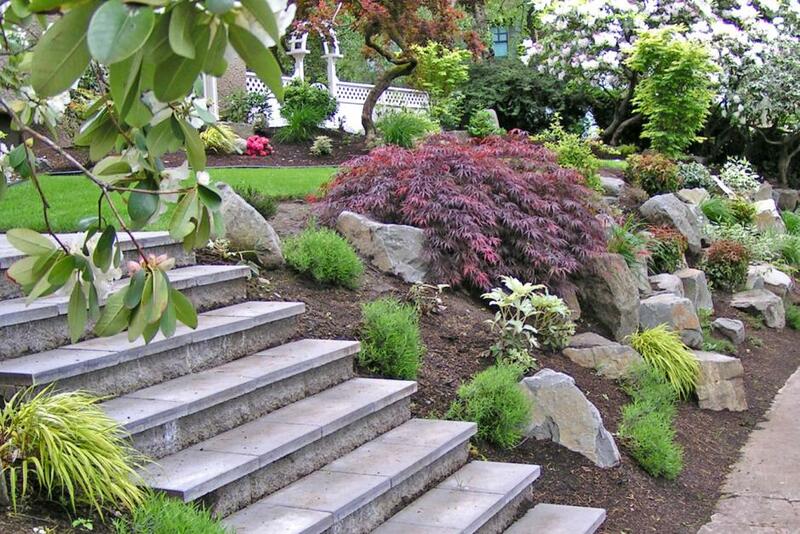 They add an atmosphere of completeness to your overall landscape design. And you can train different types of climbing plants to cover your arbor to invite beneficial insects and birds to your backyard. Plus, it’ll provide some shade too. Add perennial plants and ornamental grasses. There are so many combinations of perennial plants and ornamental grasses available. Perennial plants can add year round color as well as bring beneficial insects and birds to your backyard. Ornamental grasses don’t need the same care as a regular lawn, but serve as part of your flower beds, container gardens, or urns. 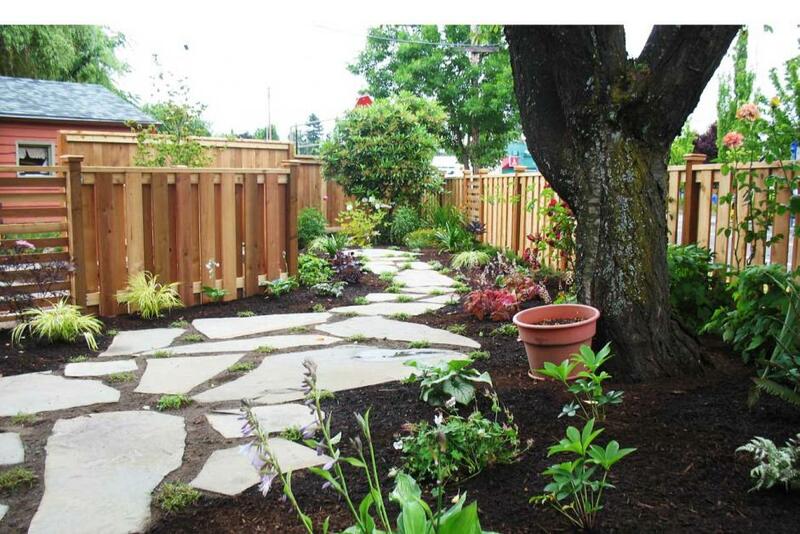 All of them add color, texture, design and interest to your overall landscape design. Add evergreen plants for year-round color. Broadleaf evergreens add seasonal color when they bloom. And conifers add a difference in texture and remain green all year long. We can add these types of evergreens, as well as firs, spruces, evergreen magnolia and false cypress to your new landscape. Add a drip irrigation system to your home. Do you want to save money on your water bills but keep your beds, containers, and trees well watered? Then, consider installing drip irrigation to your lawn-free landscape. Drip irrigation delivers water straight to the root systems of your plants so they get the right amount of water at the right time. Add compost to your flower beds and lawn-free landscapes.Compost is natural and repurposes spent organic materials back into the soil to work as fertilizer. It also helps keep moisture in your soil so your plants’ root systems grow deeper into the ground. Compost consists of spent grass clippings, leaves, and other plant materials. And we’ll provide the right amount of compost to feed your new landscape. Put in a firepit. We can build you a firepit that allows you to entertain a group of people on cool nights. We can add built-in seating to your firepit too. Build slate walkways and patios. Nothing says classy and unique like slate. We offer you a vast array of choices from Pennsylvania’s bluestone to Washington’s iron mountain. 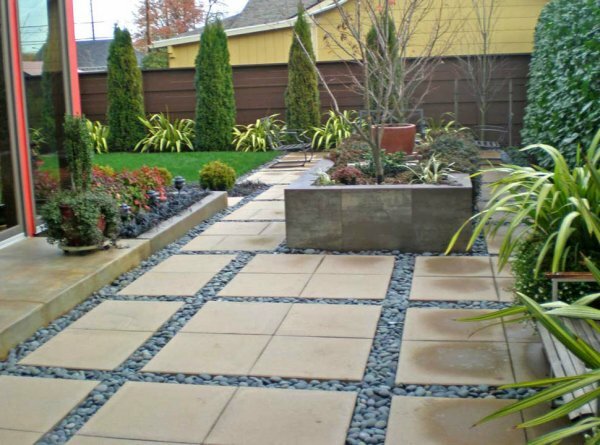 Not only do you have different types of flagstone to choose from, but you also have different color combinations, cuts, and styles to pick for your design that will create interest and variety to your backyard. And slate isn’t just for patios, but also for walkways leading to and from different parts of your property. 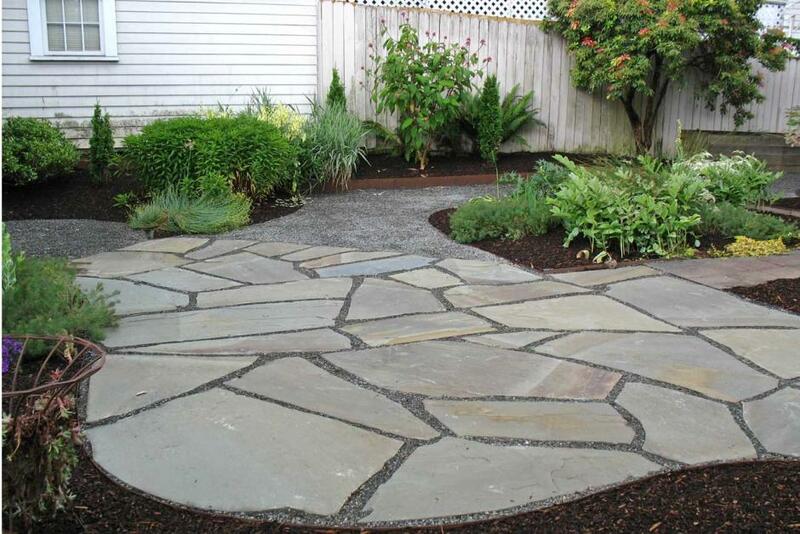 Flagstone will bring a new feeling to your landscaped world more than any other material. Add ornamental fences. Do you want an Old World look surrounding your property? Then consider having us install an ornamental fence. You may want a fence around only the back of your property or you may want to highlight a certain part of your landscape with fencing. Either way, we can help you find the perfect fence for your lawn-free needs. Add visually appealing pieces to your property. Did you know that you can reinvent your entire backyard into an outdoor living space that includes stonework, slate patios and walkways, fire pits, ornamental fences, arbors, pergolas, a picnic table area and a space for a barbecue? You can also add edible plants, ornamental grasses, and flowering trees to your new dreamscape. Your options are wide open.